There are few foods with such global appeal as smoked salmon, from Norway to Tasmania, Scotland to Chile. 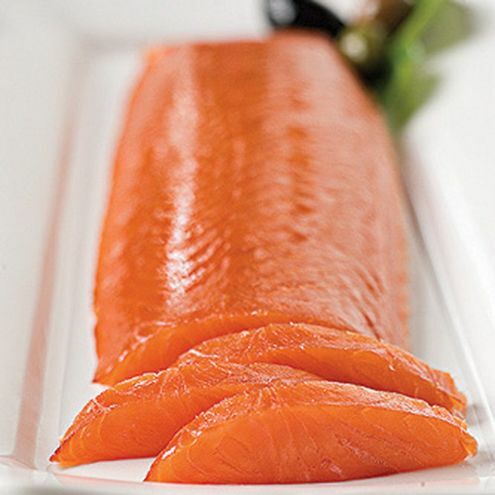 Smoked salmon was enjoyed by the ancient Greeks and Romans, was held in high regards by the native Americans, and can be traced back to Stone Age coastal communities in the UK. It is widely agreed that salmon (and other meats) were smoked to preserve the fish, because refrigeration was basic, but archaeological evidence is finding flavor was also a factor. At excavations of Viking settlements in Norway elaborate smoking plants have been found, with the furnace and the smoke chamber positioned so the smoke was led through a channel kept cold by the surrounding earth where it chilled and the tar contained in the smoke condensed. The cold, cleaned smoke gave the food a pleasant, aromatic taste while at the same time preserving it. Only now, with today’s analyzing methods, we can appreciate just how right they were. 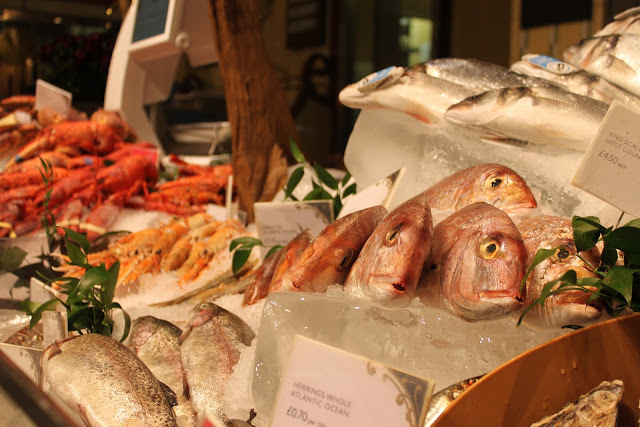 Nowadays, smokehouses are as abundant and as varied as the fish they source. Some use state of the art technology to develop equipment which will produce the perfect smoke and perfect consistency, others swear by old brick kilns and traditional methods. Some source the world for innovative flavors, some stick to tried and true recipes to allow the quality of their particular salmon to remain the hero. Tasmania and Scotland, countries renowned for both amazing salmon and high quality whisky and other spirits (albeit Tasmania the new kid on the block), are two leaders, making the best of both worlds by blessing the fish to be cured with some of their iconic spirits. Campbells and Co Smokehouse based in the picturesque Linlithgow, Scotland, partners with both Balvenie, for Whisky and Hendricks for Gin to create their bespoke Cured Salmons, the gin variety even with a light dusting of gin botanicals. Huon Tasmania selected Lark Distillery, using their award-winning Tasmanian Lark Whisky to marinate the finest Huon salmon for up to two days to produce a taste sensation for both salmon and whisky connoisseurs. Then smoky notes of the barrel in the whisky marry with the subtle flavors of the delicate Huon salmon to produce a product unique in both its Tasmanian heritage and flavor. Many smokehouses have valued the contributions of chefs to hone their craft. Robert Simon, founder of Catsmo Artisan Smokehouse, has long valued close relationships with skilled chefs and now creates Daniel Boloud’s name brand, using hand selected Atlantic Salmon which is smoked using fruitwood, resulting in a silky and lightly fragrant smoked salmon. This is lighter in smokiness than your traditional smoked salmon. Campbells and Co work with Michel Roux Jr to craft their Belvenie Whisky Cured Salmon and the late Charlie Trotter was brought on by Spence and Co from Brockton, Mass, to create a range of “flavored smoked salmons”. 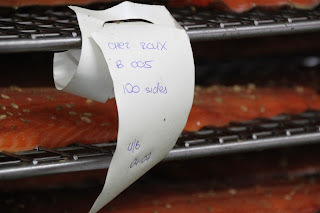 Their curing process takes 48 hours in favors including Darjeeling tea salmon with ginger brandy, celery and fennel seeds, allspice, tarragon, tea leaves, chili peppers and star anise. The salmon then gets cold smoked with oak wood for 15 to 18 hours. innovative smoke houses are changing it up, serving the whole fillet for you to cut as you desire, slicing into thick sashimi style slices on the vertical, or finely dicing to serve as tartare or toss through pasta. At London’s Hansen + Lydersen King Olav, Ola Hansen cures to a traditional Norwegian recipe dating back to the 1920’s, and is vertically cut in thick slices, sashimi style, meaning you can taste all the different flavors of the fish in each slice – from the smoked surface to the fresh flesh near the skin. It’s naturally strong-colored and smooth-textured, with a wonderfully buttery finish. Campbells and Co, from Scotland, are also taking this approach and presenting to high end cocktail bars, the thicker uniform cuts making a better textural and fuller flavor companion for shots of whisky, gin or other beverage. There is no need for blini or oatcakes, just simply succulent. 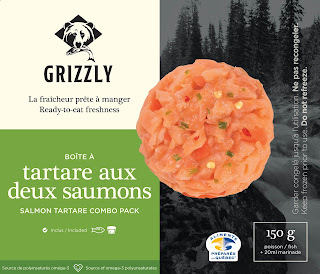 A fine dice is being adopted by Grizzly Smokehouse, out of Augustine, Quebec, who have developed a Salmon Tartare (Tartare aux duex saumons) that combines smoked and fresh salmon, lightly seasoned. 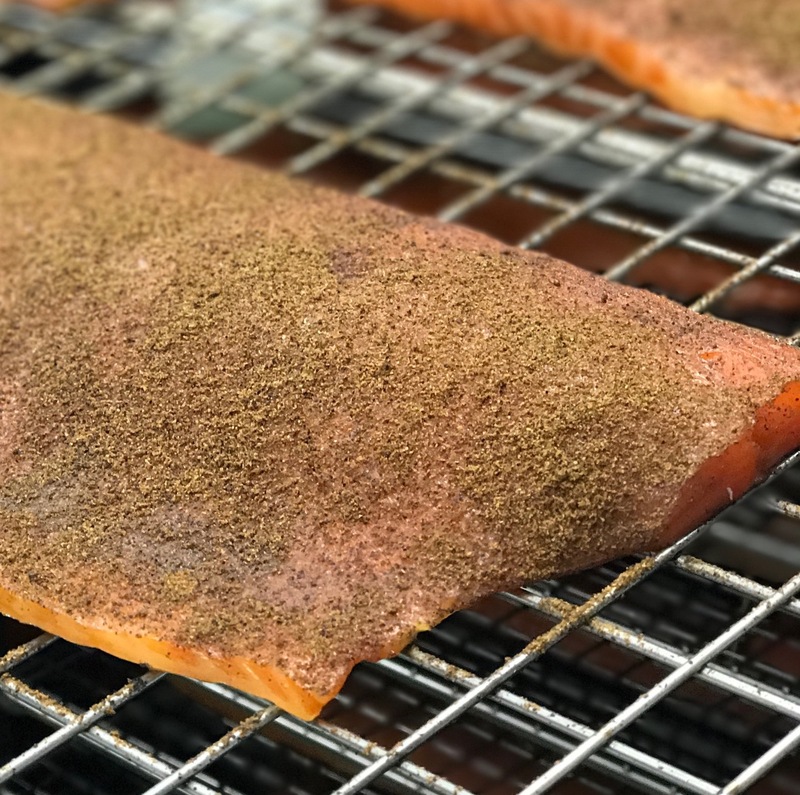 The salmon for smoking is first cured in a homemade blend of spices to release their aroma, then brushed with Quebec pure maple syrup to give them a slightly sweet touch and prevent the salt from penetrating the flesh too deeply. To complete processing, they continue the theme by smoking over maple wood for 24 to 36 hours. 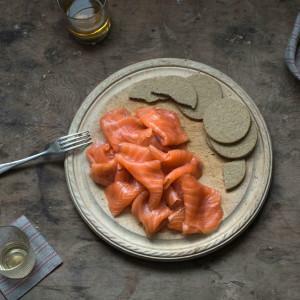 Although original smoked salmon, lox and gravlax are still the heroes of the smoked salmon shelf, more and more smokehouses are getting creative with flavors, whether appealing to meat eaters with Pastrami Style from Catsmo, gin botanicals from Campbells and Co, sweet-lovers dream with Treacle and Molasses from Waitrose, Tassal’s Salmon cured in beet (beetroot) juice or adding a touch of their own seasoning creation like Charlie Trotter’s Darjeeling and Ginger. And then there’s the smoke, from oak, whisky barrels, Manuka chips from New Zealand, fruitwood, and so much more, all creating a special terroir for each smokehouse signature brand. H. Forman & Son (established in 1905) is the last surviving of the East London smokehouses and one of the world’s oldest salmon smoker. They hold true to their famous London Cure, which has remained unchanged in 100 years. There is only one London Cure. 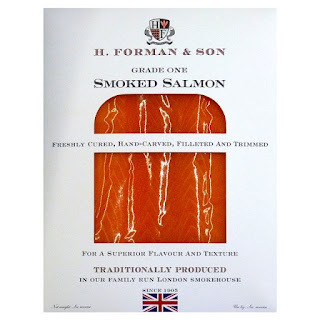 People have been curing and smoking foods, including fish, for thousands of years but it was in London that the now world-renowned delicacy of smoked Scottish salmon became established as a culinary luxury, and that was thanks to the efforts of its originators, H. Forman & Son. 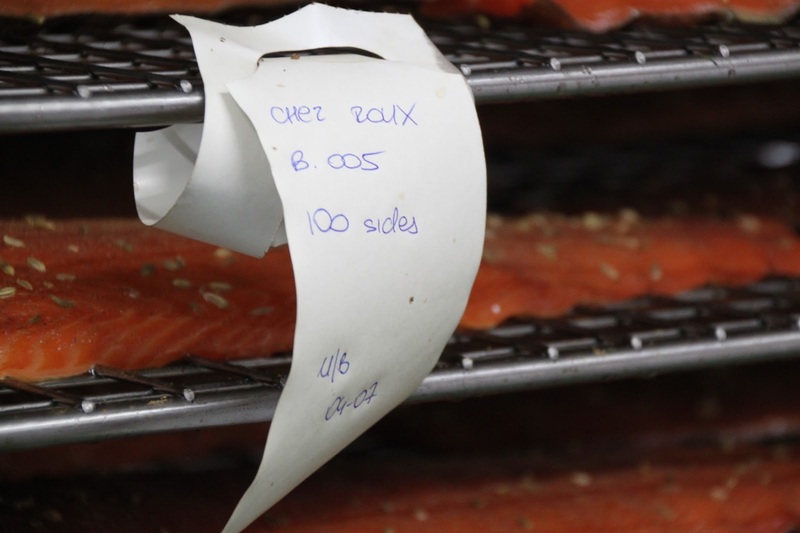 In fact, Smoked Scottish salmon cured in London was recently conferred the highly prized protected name (PGI) status, which sets it alongside other protected foods such as Champagne, Parma ham and Wensleydale cheese. This is London’s first ever food or drink to achieve this coveted recognition. Available in a “tasters pack” which, instead of changing up the flavors, presents a range of different salmon varieties such as the Genuine Wild Lean with a firm texture with a gamey flavor, or the Genuine Wild Fatty with a fuller flavor. 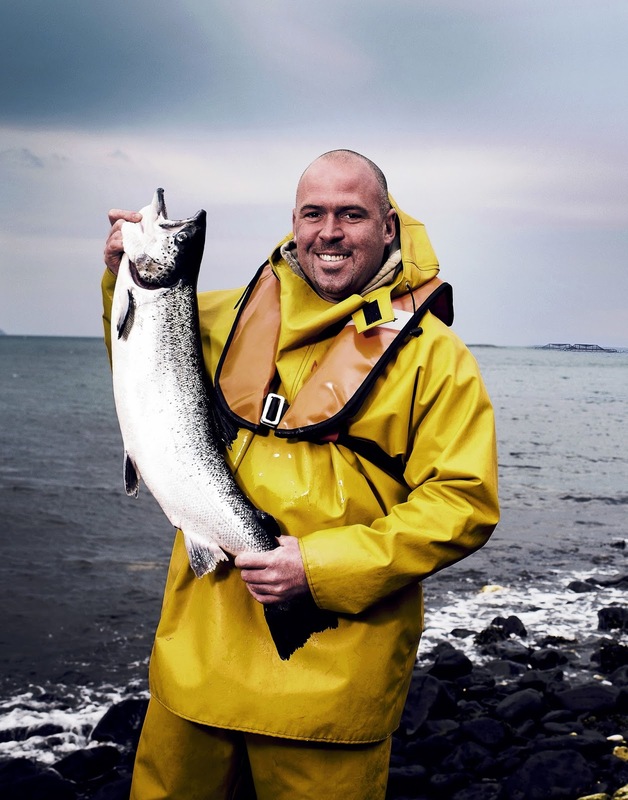 Nestled off the historic town of Glenarm in Ireland, Glenarm Organic Salmon is the only salmon farm in the Irish sea, raising the fish to strict welfare and environmental standards. 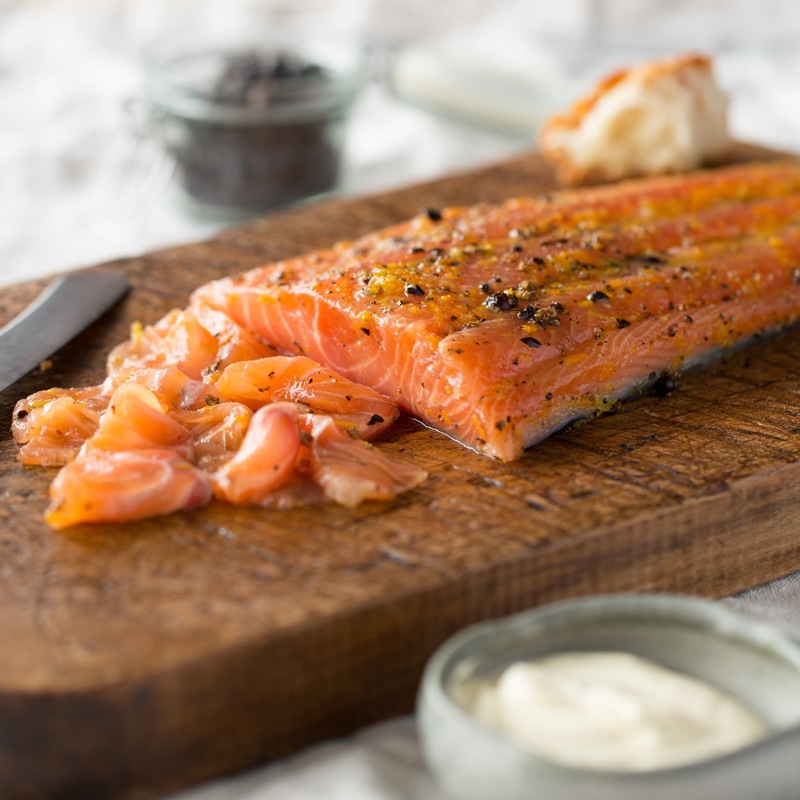 It is this that sets their salmon apart, produced using a bespoke organic sugar and salt cure and smoked to a unique 100-year old artisan traditional smoking recipe using a mix of food grade Beech and Oak chips.